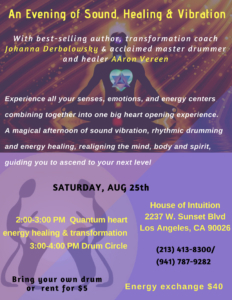 In this interactive workshop, Johanna Derbolowsky will take you through the Quantum Heart Field Experience to the most sacred part within yourself where you can find your own answers to pressing life questions and challenges, and at the same time experience healing shifts. 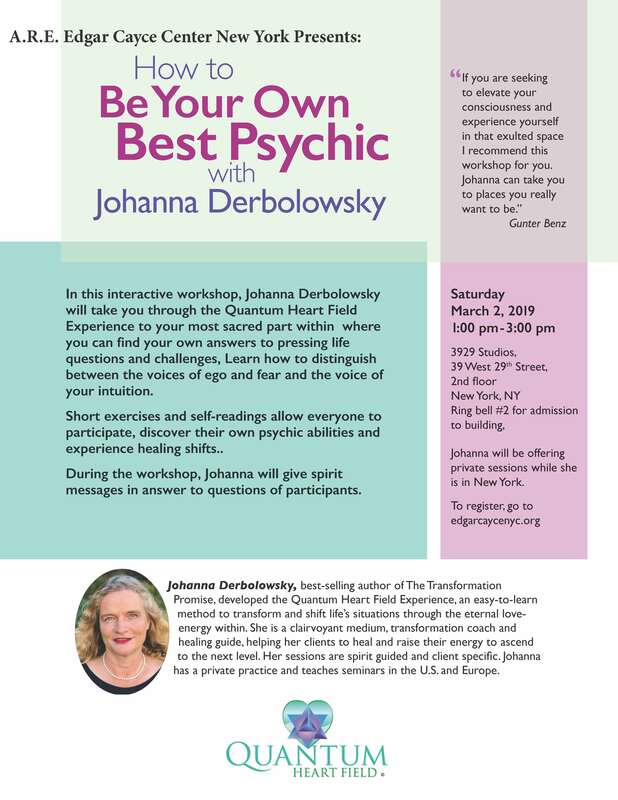 Johanna will teach you how to distinguish between the voices of ego and fear and the voice of your intuition. Learn to recognize old patterns that are holding you back, let them go and move forward. Allow your own true psychic voice of love and knowledge within to guide you in everyday life. 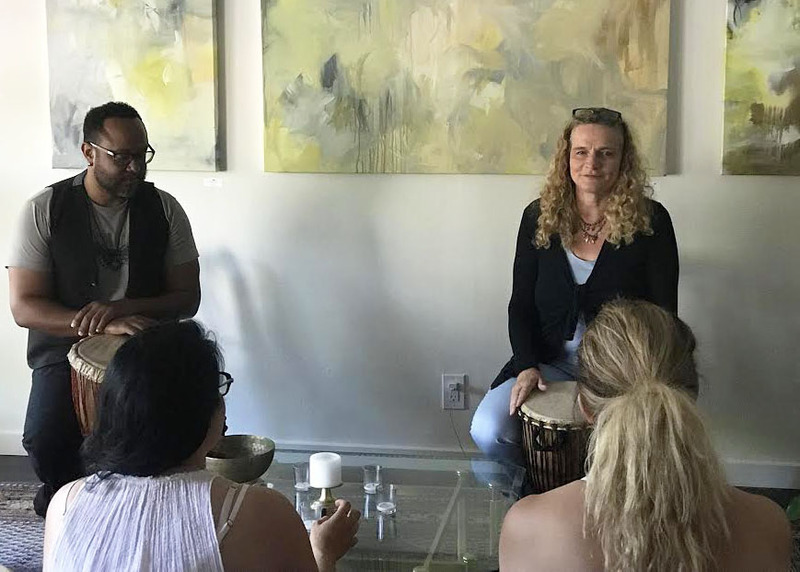 Short exercises and self-readings allow everyone to participate, discover their own psychic abilities and grow through sharing their experiences with fellow students. During the workshop, Johanna will give spirit messages in answer to questions of participants. Treat yourself to a gift of healing and transformation. Start the first day of Autumn with a gift to yourself! 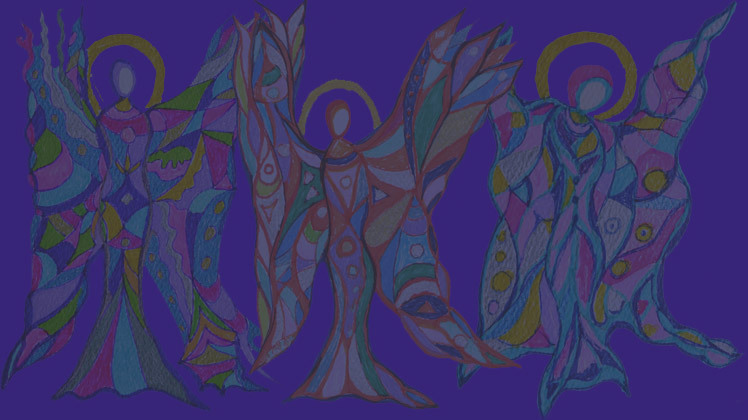 Empower yourself with tools to help you navigate daily life and ascension challenges. 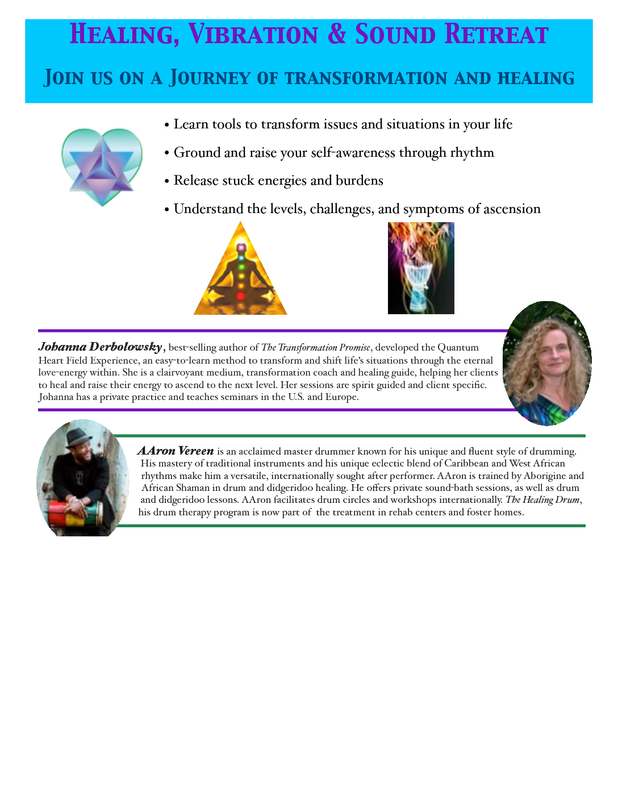 This workshop will guide and teach you to release stuck energies in the physical, mental, emotional and spiritual realms. Clear your energy, open to a strong flow of source energy and take a rhythm journey to connect you with the strength of the earth, let go of your burdens and experience the lightness of the present.